Retro Thick Twist Pullover Sweater, Retro design, never out of fashion, thick enough to keep warm, twist pattern is decent and simple. Very natural,comfortable, soft, gentle to skin no sting. Retro design, never out of fashion, thick enough to keep warm, twist pattern is decent and simple. College style fits age 18 to 26 young girls. 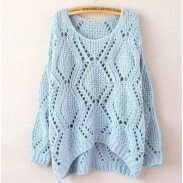 Casual look, well match, art.Very beautiful Twist Pullover Sweater. 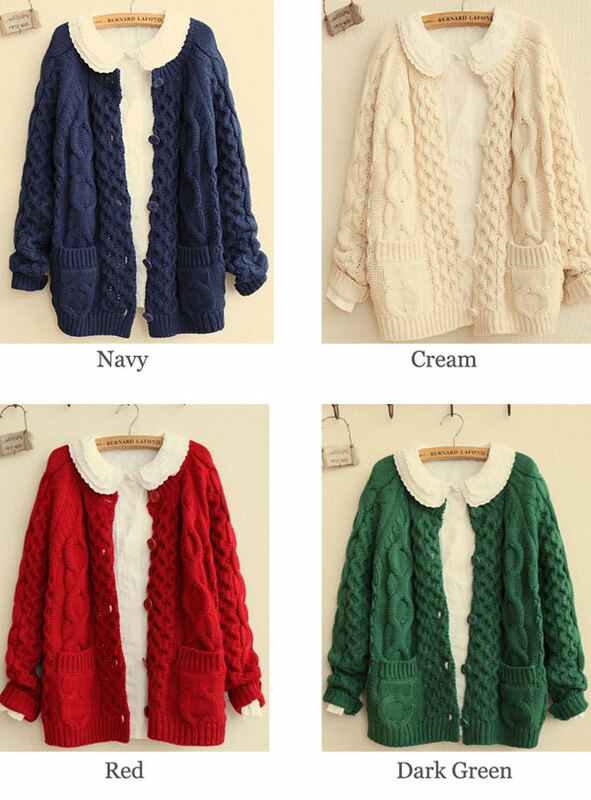 Basic sweater to wear around house or run errands. Comfy and warm. This was a big hit with my daughter. She loved the size, style and function. I would definitely buy her another.